he Angus & Robertson editions of the Hardy Boys are often mistakenly referred to as being "Australian" editions, whereas in actual fact they were published in England by Angus & Robertson (UK) Limited, which was the UK publishing division of the original Australian company (see capsule history below). The main clue that the books are English, and not Australian, lies in the simple fact that the price printed on the back covers of the books is given in pounds (£). In addition, the subsequent Armada paperback versions of these particular titles clearly state on their copyright pages that they were first published by Angus & Robertson (UK) Limited. There is however an Australian connection; here follows a capsule history of the publisher. In January 1886 George Robertson went into partnership with David Angus, establishing the booksellers firm of Angus & Robertson, based in Sydney, Australia. In 1900 David Angus left the partnership and returned to England, but died shortly after due to ill health. Robertson continued with the business, and in 1907 the partnership was converted into a public company – Angus & Robertson Limited. George Robertson died in 1933, but Walter Cousins, the new Managing Director, grew the company into a major international bookseller. 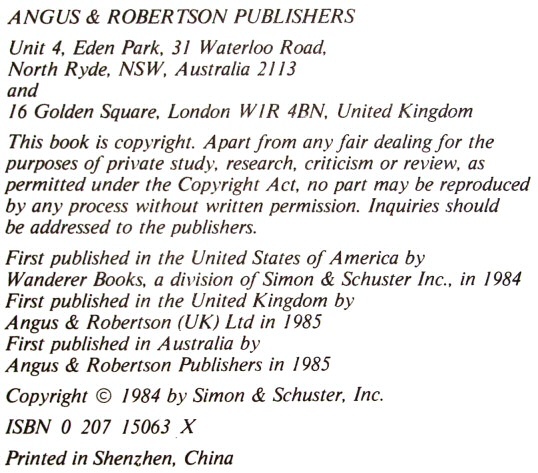 In 1938 Angus & Robertson opened a publishing office in London – Angus & Robertson (UK) Limited, incorporated in 1967. In this growth period the company continued to acquire large and established retail bookstores throughout Australia. It became Australia's first nationwide chain of bookshops. However from early 1969 international competition placed pressure on Angus & Robertson. As a result the company went through some major restructures and successive owners, including Gordon & Gotch in 1978. The publishing division was not included in this sale and for the first time Angus & Robertson Publishing and Angus & Robertson Retail became two separate companies. From 1979 Angus & Robertson (UK) Limited in effect became the main publishing division of the company, and set up offices on Singapore, Manila, Sydney and Melbourne. In 1979, the Stratemeyer Syndicate transferred the American publishing rights of the Hardy Boys and Nancy Drew series from Grosset & Dunlap to Simon and Schuster. Grosset fought back in a long and messy court case, but won the rights to 'own' and reprint the original 58 titles exclusively, whereas Schuster were only able to publish new titles. As a result of this, in 1980 Angus & Robertson (UK) Limited picked up the rights to the Simon & Schuster titles. But despite losing the hardbacks, Collins retained the rights to publish all future books in paperback only under their Armada Books imprint. 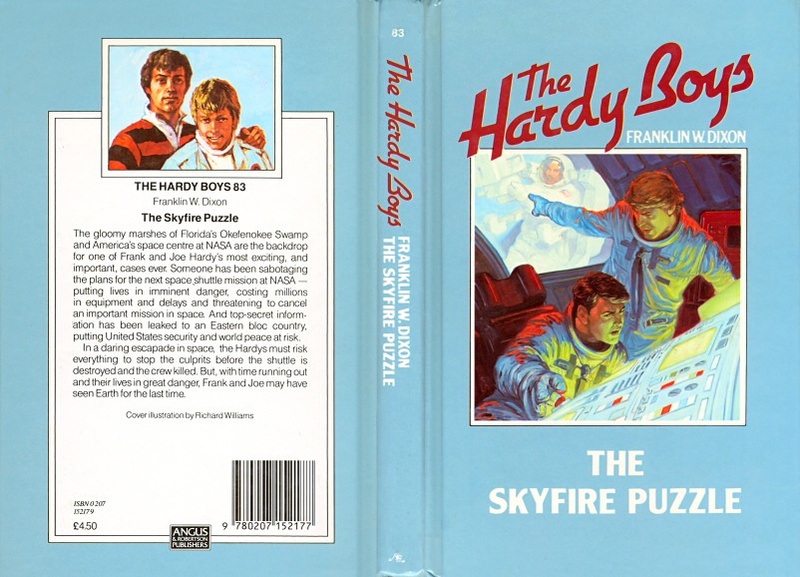 After publishing 26 hardback titles, Angus & Robertson (UK) Limited ceased publication of the Hardy Boys in 1986. The News International group of companies had purchased Angus & Robertson Publishers, and ironically another of the News International acquisitions at the time was Collins! Although the publishing division of Angus & Robertson discontinued (the company was dissolved in 1996), the retail division of Angus & Robertson Booksellers still exists today and is a major chain of booksellers throughout Australia. The 26 Angus & Robertson hardbacks were printed directly off the original US type-plates for the American Wanderer/ Minstrel paperback editions. The dimensions of the cover bindings of the Angus & Robertson books are vastly different to Collins (see below). Indeed they bear a striking resemblance to the blue spined 1987 'flashlight' reprint editions of the Grosset & Dunlap titles, although this is probably a coincidence. 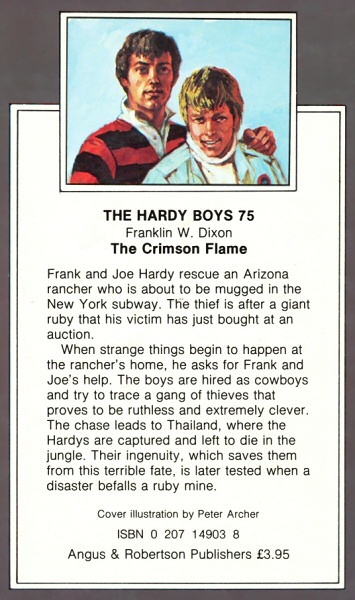 Story summaries now appeared on the back cover, which also featured a head and shoulders illustration of the boys by Peter Archer. The books were mainly printed and bound in Hong Kong (by Everbest Printing Co. Ltd), with three exceptions – The Demon's Den and The Blackwing Puzzle were manufactured in Shenzhen, China, while The Swamp Monster is unique in being the only title to be printed in the UK. For the first time, the cover artist was credited. 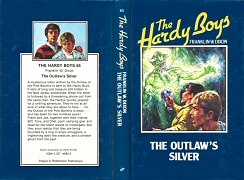 British artists Peter Archer and Dave Godfrey provided new cover art, while the last five Angus & Robertson editions featured the same cover artwork used on the original Wanderer/Minstrel US paperback editions (by Derek James and Richard Williams), but cropped in places to fit the different layout. For reasons that are not readily apparent, volumes 77 (Sky Sabotage) and 78 (The Roaring River Mystery) were not published in hardback. It may be coincidence that the two 'missing' titles fall at the point between the last Peter Archer art and the first of the US covers. However, a similar gap exists in the Nancy Drew series published simultaneously by Angus & Robertson, where no less than eight titles were skipped after the last title to be illustrated by Archer was issued (#60 Race Against Time). When #69 The Emerald-Eyed Cat Mystery came out, it carried the US artwork – all in all, a striking similarity to A&R's treatment of the Hardy Boys series. Angus & Robertson also published a hardback edition of the first Supersleuths novel in 1982. The book features a new cover illustration by Tony Pyrzakowski, which is loosely based on the original US artwork. The identities of the cover artists are as follows: P.A. (Peter Archer); T.P. (Tony Pyrzakowski); D.G. (Dave Godfrey); D.J. (Derek James); R.W. (Richard Williams). #57 Night of the Werewolf P.A. #58 The Mystery of the Samurai Sword P.A. #59 The Pentagon Spy P.A. #60 The Apeman's Secret P.A. #61 The Mummy Case P.A. #62 The Mystery of Smugglers’ Cove P.A. #63 The Stone Idol P.A. #64 The Vanishing Thieves P.A. #65 The Outlaw's Silver P.A. #66 The Submarine Caper P.A. #67 The Four-Headed Dragon P.A. #68 The Infinity Clue P.A. #69 Track Of The Zombie P.A. #70 The Voodoo Plot P.A. #71 The Billion Dollar Ransom P.A. #73 Trapped At Sea D.G. #74 Game Plan For Disaster D.G. #75 The Crimson Flame P.A. #79 The Demon's Den D.J. #80 The Blackwing Puzzle D.J. #81 The Swamp Monster R.W. #82 Revenge of the Desert Phantom R.W. #83 The Skyfire Puzzle R.W.